i just discovered this guy’s work – it’s incredible. Philip Beesley is an architect, engineer, artist, designer and much more. he’s really into the idea of Hylozoics – that every object has its own life and its own life force. he makes these intricate and beautiful installations that look like they’re made from feathers and leaves and clouds and piss and light, but they react to the viewer. 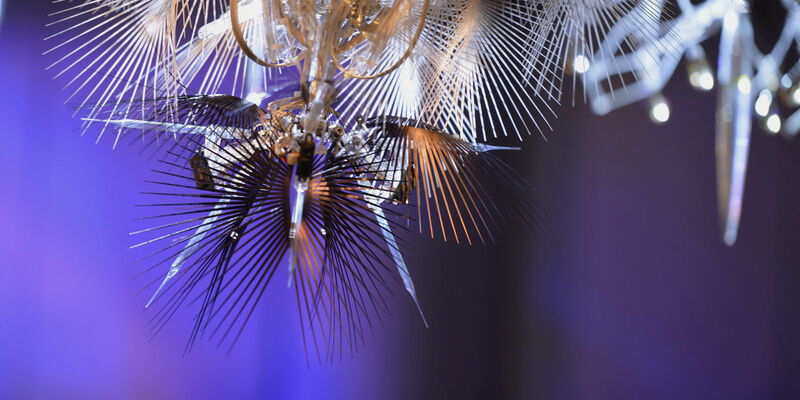 hidden behind all the gossamer filigree are some very clever systems that utilise ultra-modern shape-memory alloys, LEDs and sensors that animate the sculptures in surprising and beautiful ways. awesome.